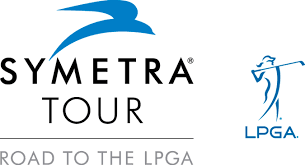 The Symetra Tour, the official qualifying Tour for the LPGA, will be playing a professional golf tournament May 23-26 on the Lake Course at Opelika’s RTJ Grand National in Opelika, Alabama. A field of 144 female golfers will compete for the highest purse ever on the Symetra Tour, valued at nearly $300,000. A pro-am and other community events will be held earlier in the week. RTJ Grand National first opened in 1992 and hosted its first professional tournament on the trail in 1997. This will be the sixth professional tournament played at Grand National and the second time for professional women’s golf. The PGA TOUR’s Barbasol Championship was held at RTJ Grand National in 2015, 2016 and 2017. The LPGA’s AFLAC Tournament of Champions was held in 1998 and the Nike Tour Championship was played at RTJ Grand National in 1997. The Symetra Tour will return to the Robert Trent Jones Golf Trail in September for the Guardian Championship in Prattville. This will be the third year for the Guardian Championship. April 18 – 21 – New – Robert Trent Jones Golf Trail Classic – Web.com Tour – Senator Course at RTJ Capitol Hill in Prattville, Alabama. This professional men’s event is new to the Trail and replaces the El Bosque Mexico Championship originally scheduled for Feb. 28 – March 3 in Leon, Mexico. The four-day tournament has a purse of $550,000. 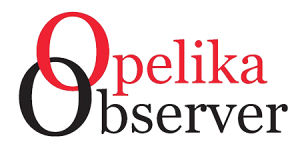 With a field of 156 international golfers, several men in the field will likely have strong connections to Alabama and the region. May 23 – 26 – New Symetra Tour event – Tournament Name and Sponsor to be announced at a later date – Lake Course at RTJ Grand National in Opelika, Alabama – Tournament. This new Symetra event will have the highest purse on the Symetra Tour in 2019 at $300,000. With a field of 144 golfers, the tournament will be played May 23-26, Memorial Day weekend. Sept. 20 – 22 – Ongoing – Guardian Championship – Symetra Tour – Senator Course at RTJ Capitol Hill in Prattville, Alabama . In its third year, the Guardian Championship is quickly becoming one of the favorites on the Symetra Tour. Held late in the season, the Guardian Championship plays a key role in helping Symetra Tour golfers increase their earning and become members of the LPGA Tour the following year. Lindsey Weaver won the inaugural tournament in 2017 and Kendall Dye was the 2018 champion. Additional information on these tournaments and how to become involved will be available online at rtjgolf.com.